The Russian opposition is preparing for new mass protests in June and early September, says popular blogger Aleksey Navalny. 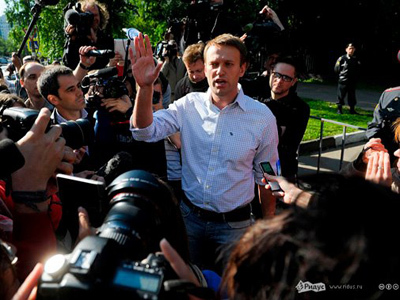 On Thursday, Navalny was released from jail after a 15-day administrative arrest. 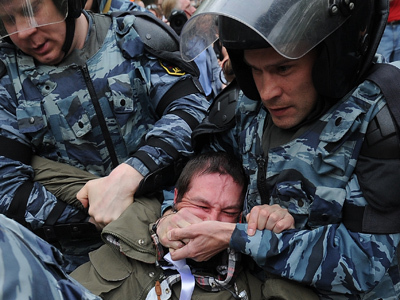 He was detained in Moscow early on May 9 for “disobeying police” while opposition activists attempted to stage“mass public stroll" which was to continue indefinitely. He emerged from the detention center to the applause of supporters. 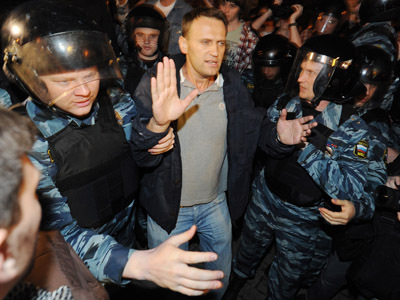 Navalny stated that he, “as well as other political detainees,” was really happy to learn the news about protest actions recently held across Russia. According to the blogger, it is absolutely obvious that the protest movement will only increase from now on. Talking to Ekho Moskvy radio station, Navalny said he believes the opposition should prepare a nationwide protest action in early September. A protest rally is also planned on June 12 – when the Day of Russia is celebrated. Another opposition leader – Left Front coordinator Sergey Udaltsov – said he was confident “they would win”. Early on Thursday, he also was released from jail where he spent 15 days following the May anti-government rallies that ended with clashes. 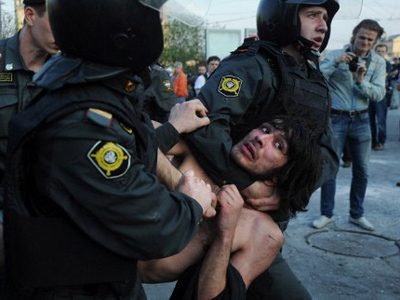 He was detained the same day as Navalny and sentenced to administrative arrest on similar charges. 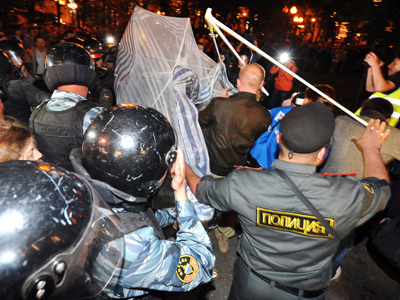 "All attempts by the illegitimate authorities to intimidate us are futile, because we know that we are in the right," Udaltsov told supporters and journalists assembled outside the prison, cited RIA Novosti.